Hong Kong is unequivocally a paradise for foodies. Every corner you turn, there will definitely be at least one eatery swarming with hungry customers. For several times, I’ve been to the land of dim sum myself. Each time I’m there, I always find myself armed with an entirely new repertoire of food places. There’re just so many things to eat there! Despite the multitude of food spots I haven’t tried, I frequently dream about returning to several places I’ve eaten at. Fortunately, some of them have opened up branches right here in Singapore. 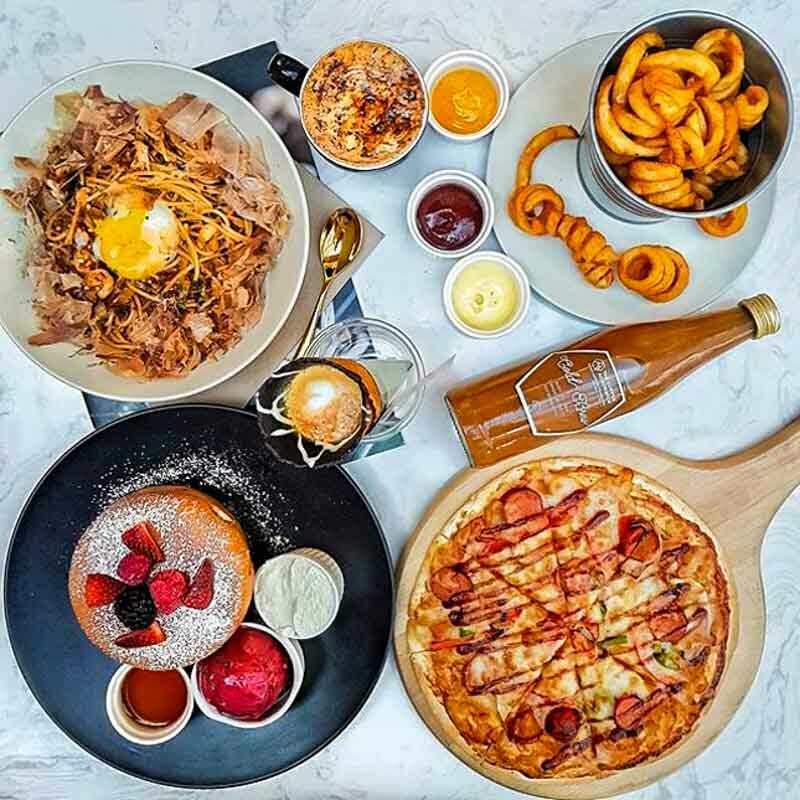 So without further ado, here’re 10 famous Hong Kong chains in Singapore you don’t have to travel all the way to Hong Kong for! 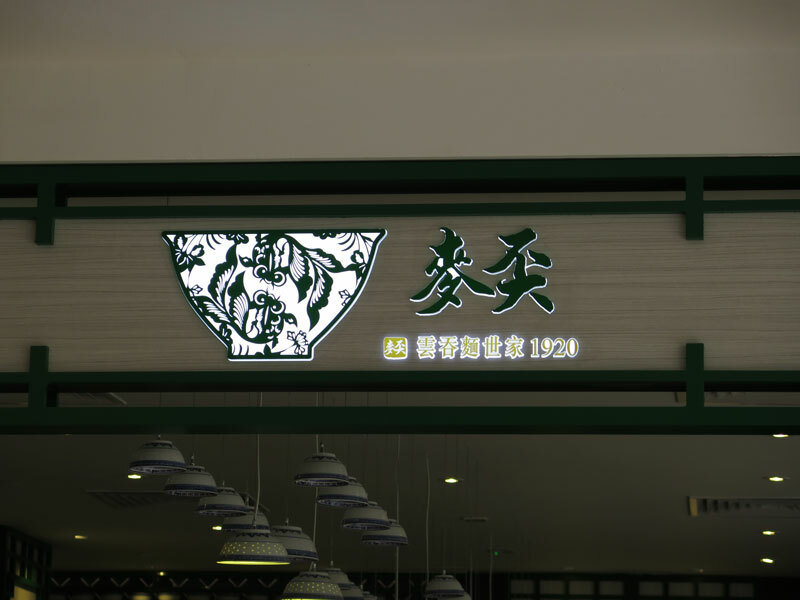 Amidst the string of eateries in Changi Airport Terminal 2 is Chee Kei (池記). Operating 24 hours daily, the well-known noodle house is the perfect place for those with flights at ungodly hours. 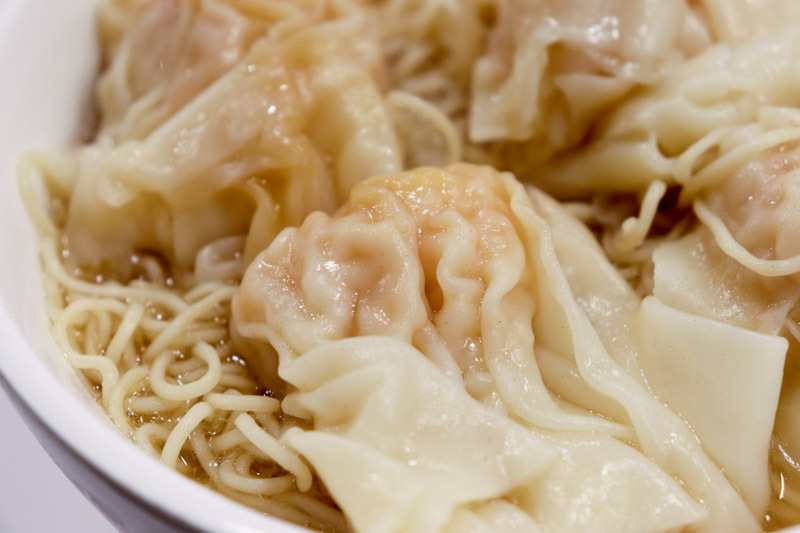 Their famous Shrimp Wonton Noodles (S$8.95) is a must-try here. Filled solely with shrimp, the umami flavour of the shrimp wontons struck a perfect balance with the earthy soup broth. 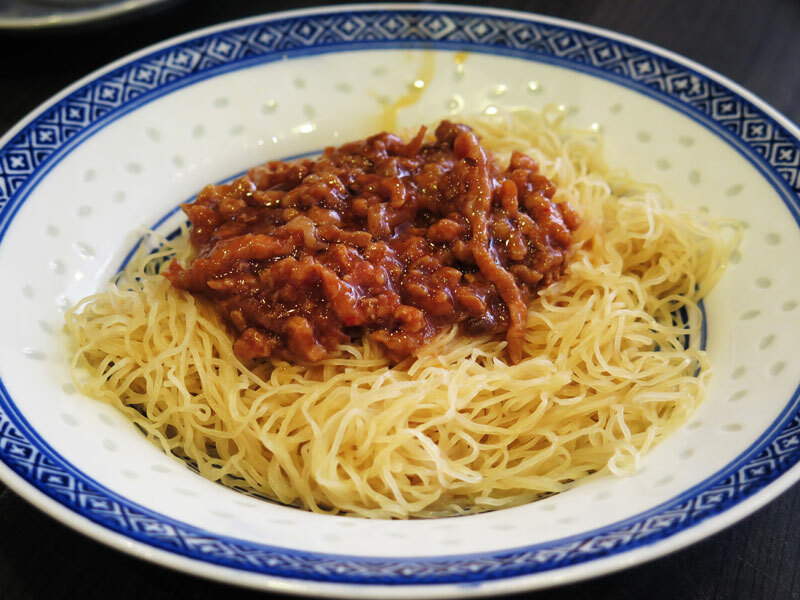 The consistency of Chee Kei’s noodles will also bring you back to your days in Hong Kong. Its springy texture gave the homely bowl a wholesome volume that all will certainly appreciate. 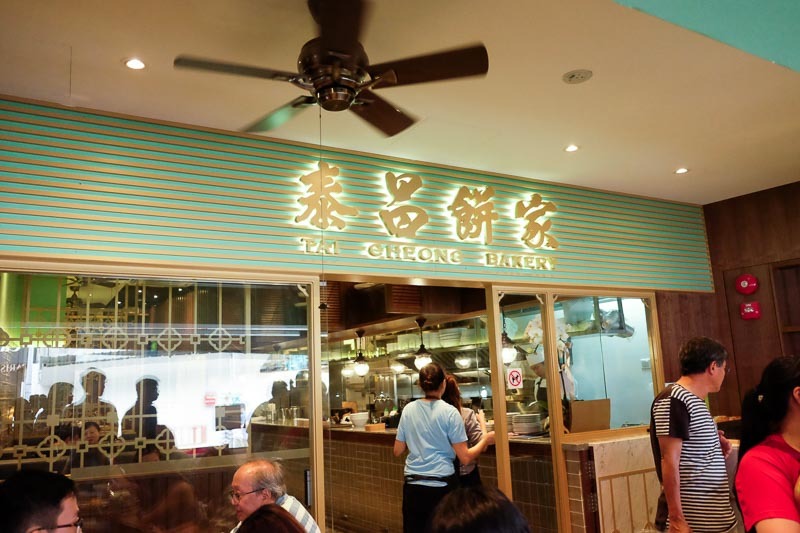 Renowned for their egg tarts, Tai Cheong Bakery (泰昌餅家) has a cha chaan teng outlet at Holland Village. 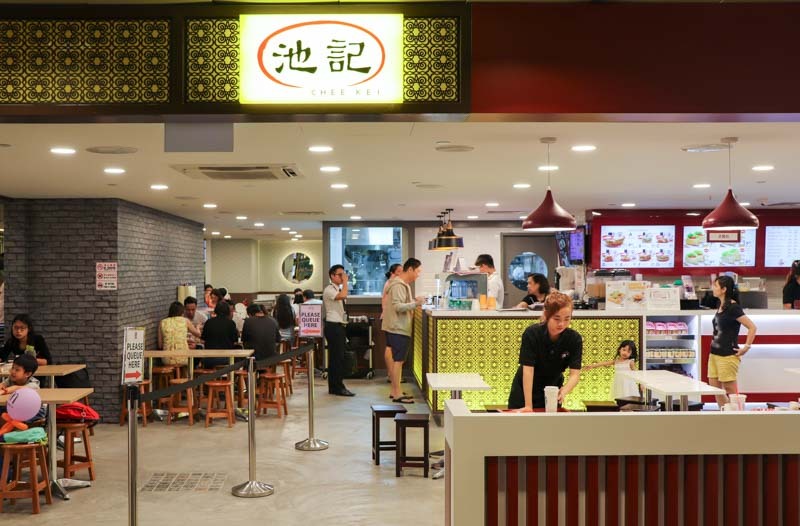 The chain has multiple branches across Hong Kong and one other takeaway store at Takashimaya in Singapore. 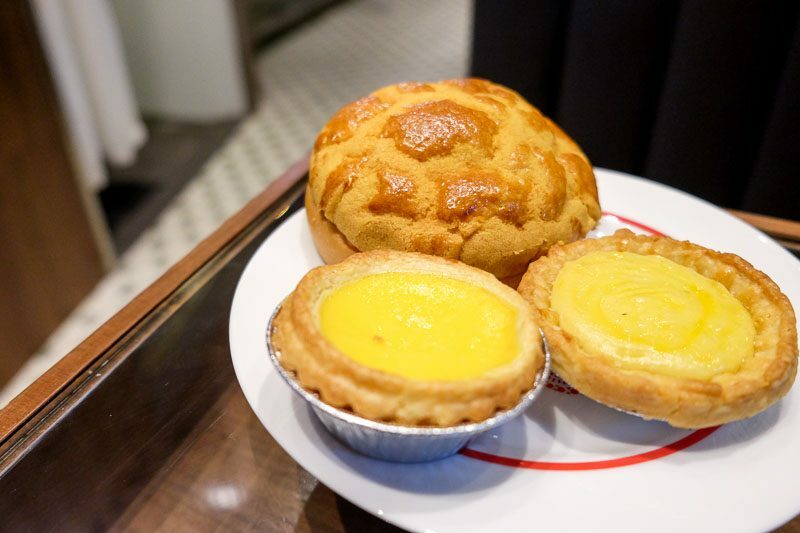 Their famed Egg Tart (S$1.90 each) has a crust that’s rich and buttery. Its custard is firm and not overly sweet too. You can also sample a variety of other Hong Kong cafe dishes while you’re here. Their Scrambled Egg Toast Stack (S$6.50) and Beef Brisket Curry Rice (S$9.90) are comfort foods that will surely satisfy your Hong Kong food cravings. 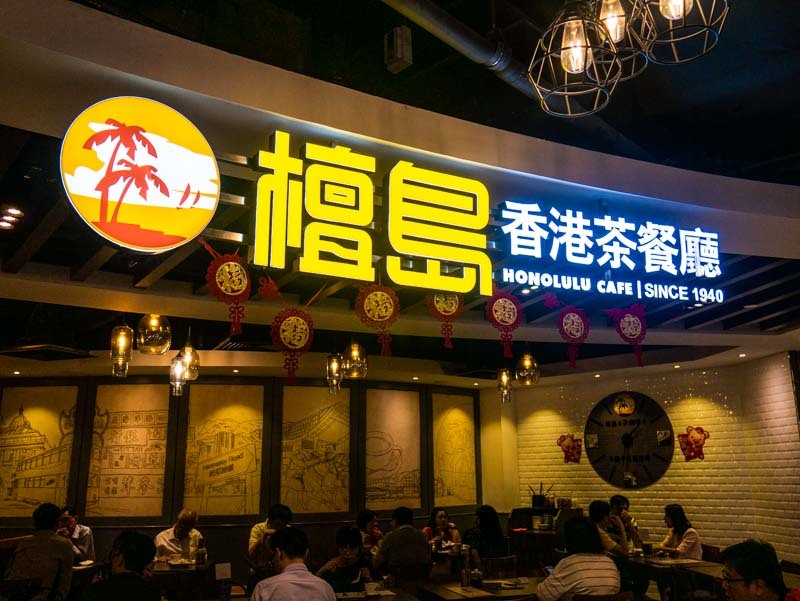 With numerous outlets across Hong Kong and China, Honolulu Cafe (檀岛) opened its first international outlet in Singapore in 2016. 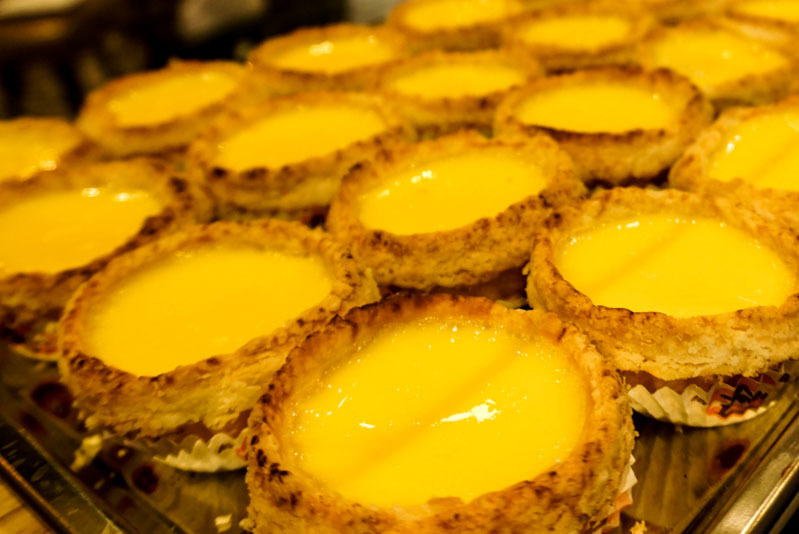 While their menu resembles that of cha chaan tengs in Hong Kong, they’re most popular for their egg tarts. The Honolulu Egg Tart (S$2.20 per piece) is probably one of the flakiest egg tarts in Singapore. I loved how its custard had the right amount of sweetness. Its smooth texture also made for a good contrast with the exceedingly crispy tart crust. Honolulu serves an amazingly chewy Curry Fish Ball (S$3.30 for five pieces) too. They’ve specially spiced up their curry gravy so as to better appeal to us spice-loving Singaporeans. 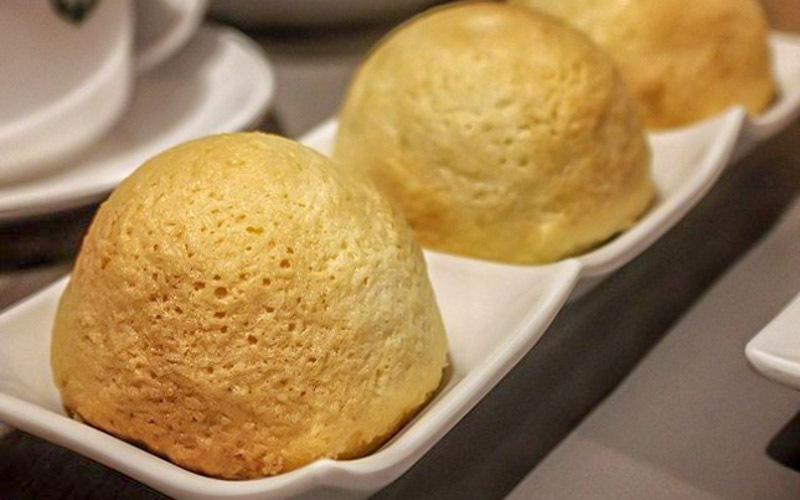 An internationally-recognised dim sum brand, Tim Ho Wan (添好運), is no stranger to Singaporeans. Their Baked BBQ Pork Buns (S$5.80 for three pieces) are absolutely divine and what I always go there for. How the savoury barbequed pork complements the crispy, sugary crust is simply delectable. It’s also what makes these pork buns so irresistible. Tim Ho Wan also does really well another mainstay of dim sum. 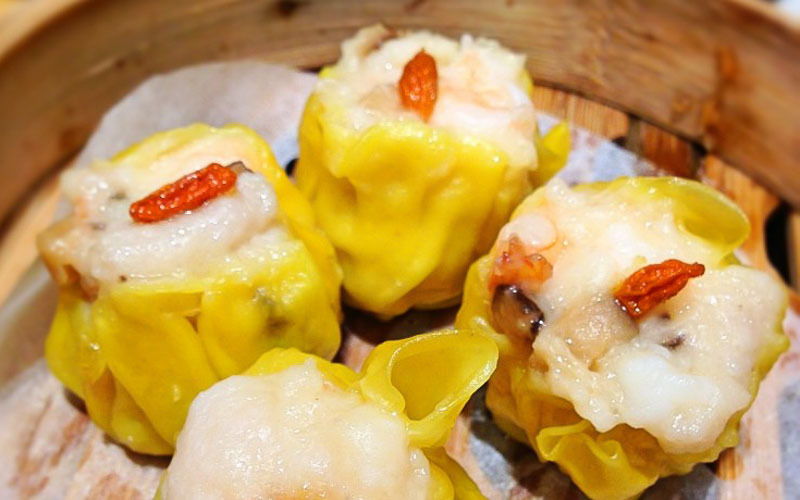 Their Pork & Shrimp Siew Mai (S$4.80 per portion) consists of juicy meat dumplings with fresh prawns. You can pick up a subtle taste of wolfberries that most siew mais don’t have. If you’ve ever been to Hong Kong, chances are that you’ve heard about Mak’s Noodle (麥奀). 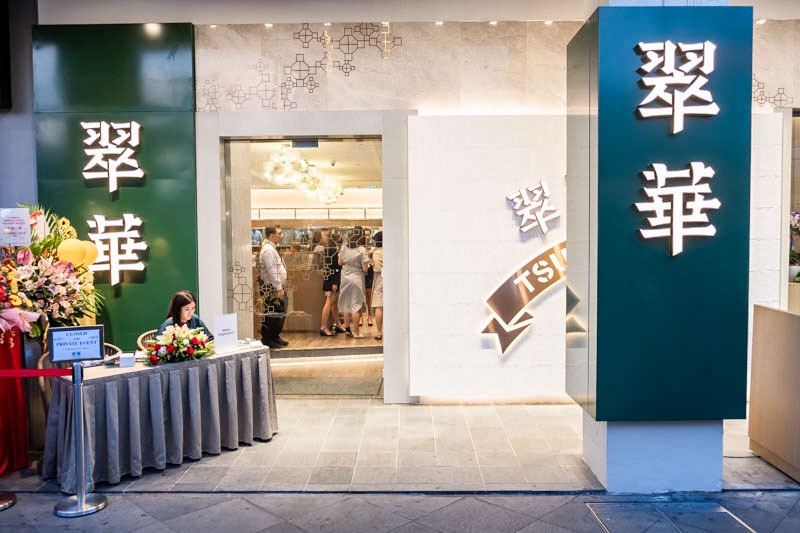 With the title of “Best Wonton Noodle in Hong Kong”, the joint opened its first overseas outpost here in Singapore. They ship their ingredients all the way from their Hong Kong branch so as to ensure their food quality is consistent. We particularly enjoyed the noodle joint’s Tossed Noodle With Chutney Pork (S$8.40). The chutney pork had an umami flavour which provided the perfect counterbalance to the alkaline noodles. 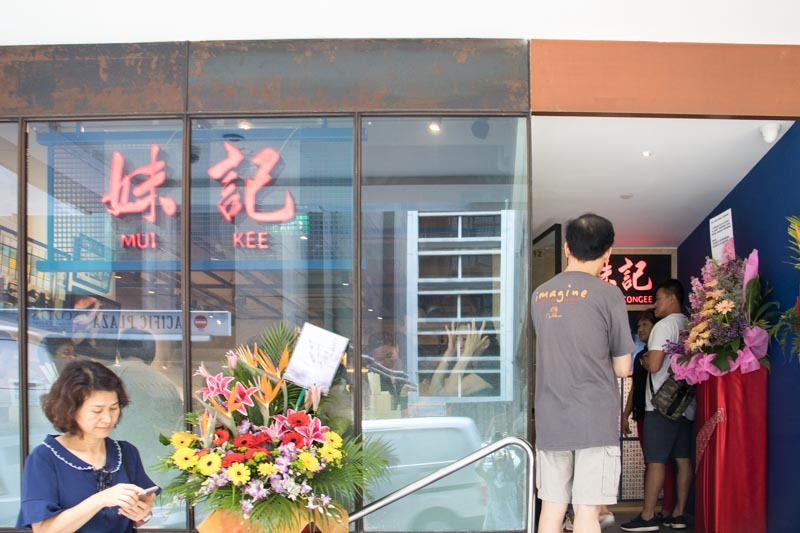 From a hawker stall in Hong Kong to a pop-up store in Singapore Botanic Gardens, Mui Kee Congee (妹記) finally opened its own restaurant at Shaw Centre in 2018. Renowned for their trademark congee, their Sliced Threadfin (S$16) didn’t disappoint at all. The congee was smooth and tasted strongly of fish stock. It even had a strong wok hei flavour which complemented the natural taste of the threadfish slices well. 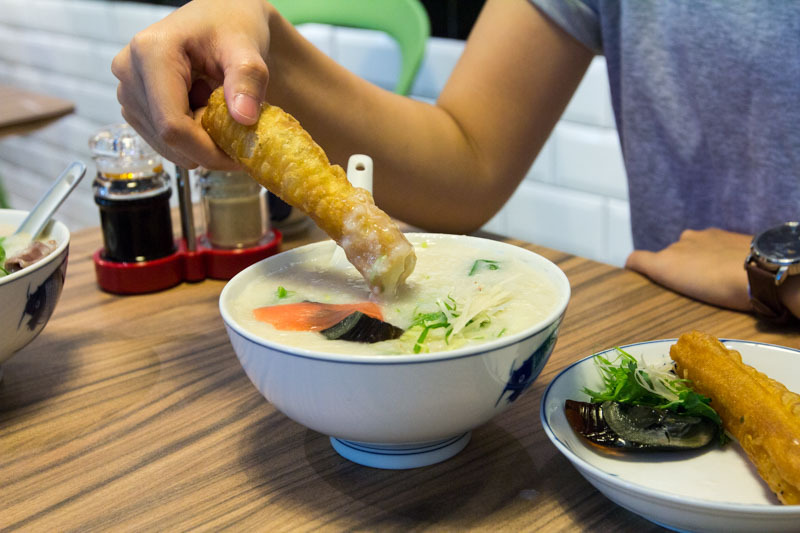 The congee Mui Kee makes is in a league of its own. It tasted exactly how I remembered it to be like in Hong Kong. 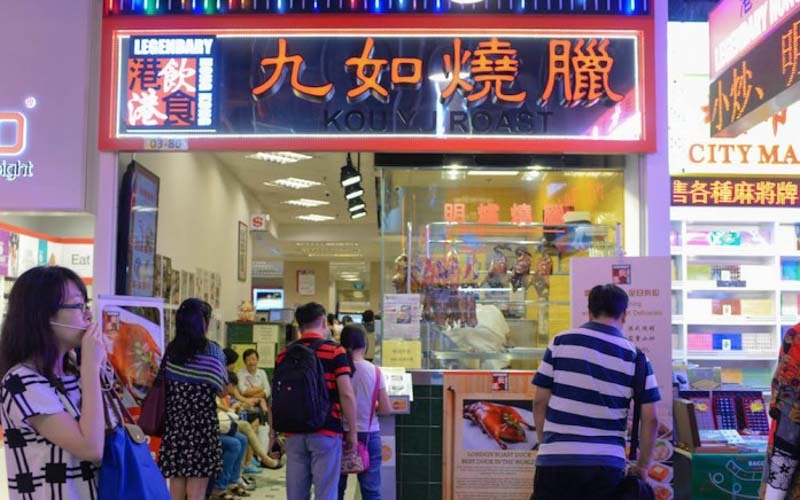 Legendary Hong Kong (港飲港食餐廳) is one of the many Hong Kong eateries along the “Mongkok” district in Jurong Point. Stride into this specially-decorated restaurant and you’ll definitely be reminded of cha chaan tengs back in the day. 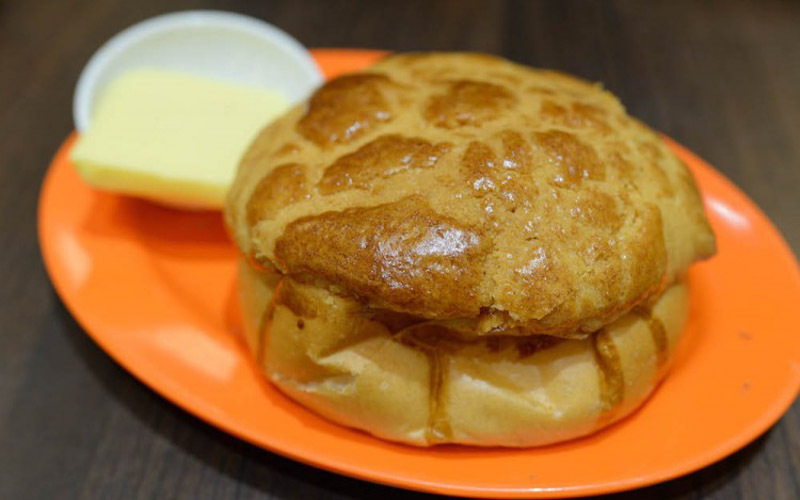 A staple in cha chaan tengs is Polo Bun and Legendary’s Custard Crust Bun With Butter ($2.50) is a great start to any meal. It had a crispy outer layer and a light, fluffy centre that was slightly sweet and buttery. The restaurant also serves a whole variety of other dishes. 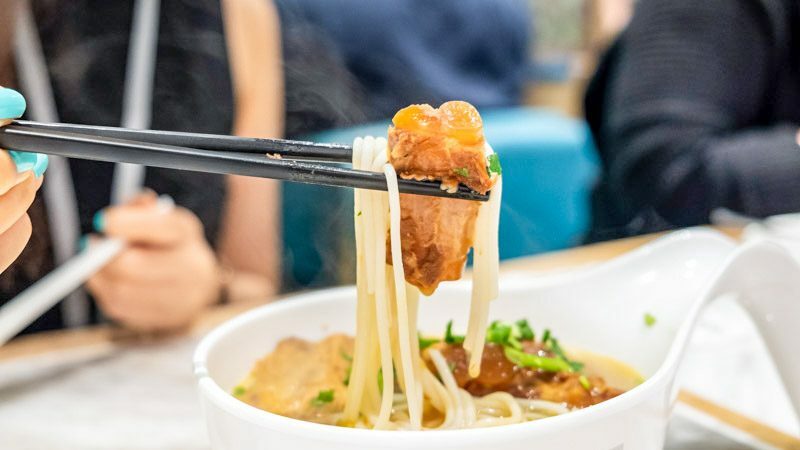 Expect to find classic cha chaan teng items like Wonton Noodle in Soup (S$6.80) and Crispy Pork Belly (S$12.80). 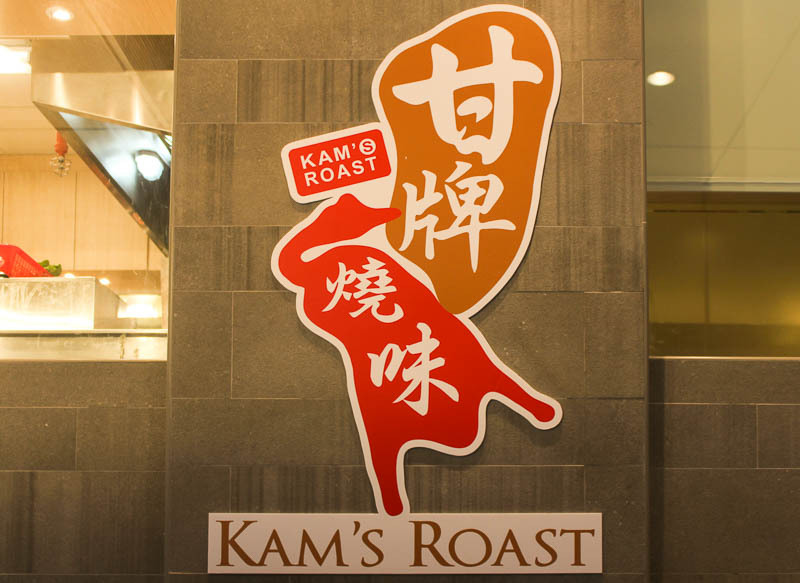 Ever since I ate at Michelin-starred Kam’s Roast (甘牌燒味) in Hong Kong, I’ve never been able to get over the heavenly taste of their roast meats. So imagine my delight when I found out that they have a restaurant at Pacific Plaza along Scotts Road. 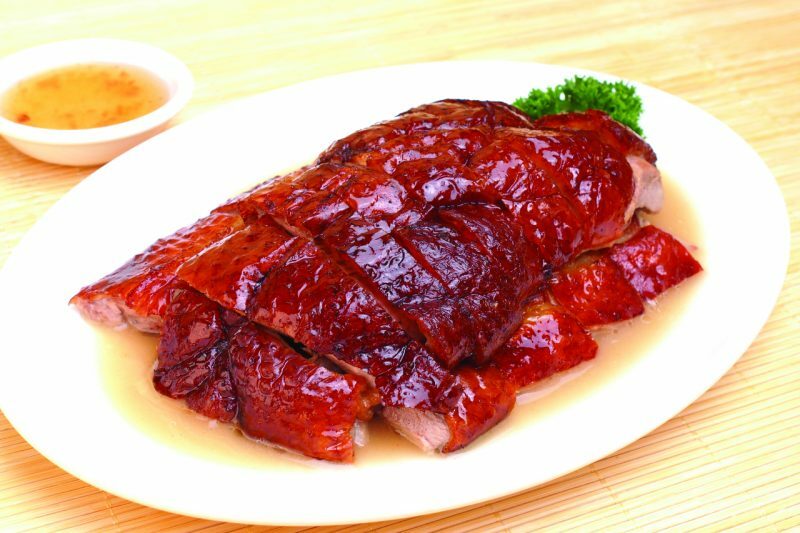 Unlike the original restaurant in Hong Kong, they serve roast duck instead of roast goose. That said, they cook the duck in the same fashion as the goose to ensure that it’s of similar standards. With a meaty tenderness, their Roast Duck (S$11.80 for a portion, S$48 for a whole duck) was simply succulent. The alternating layers of fat underneath the crispy skin made for an incredibly flavourful experience. Teeming with locals and tourists alike, Tsui Wah (翠華) in Hong Kong is famous for traditional Hong Kong delicacies like noodles and buns. With the opening of their Singapore outlet at Clarke Quay in 2018, authentic Hong Kong food isn’t that far anymore! They offer gourmet dishes which their culinary team have learnt to prepare from their Hong Kong chefs. Therefore, you can be sure that the dishes here in their Singapore branch will taste similar to those in Hong Kong. Their Kagoshima-style Pork Cartilage In Fish Soup With Mixian ($8.50) comes with tender pork cartilage over noodles and soup. Stewed for many long hours, the opaque soup had a peppery flavour that complemented the springy noodles excellently. For those looking for something a little different, Hong Kong-grown coffee brand The Coffee Academics has two outlets in Singapore. Using top-quality coffee beans and meticulous preparation methods, they pride themselves for offering a coffee experience like no other. 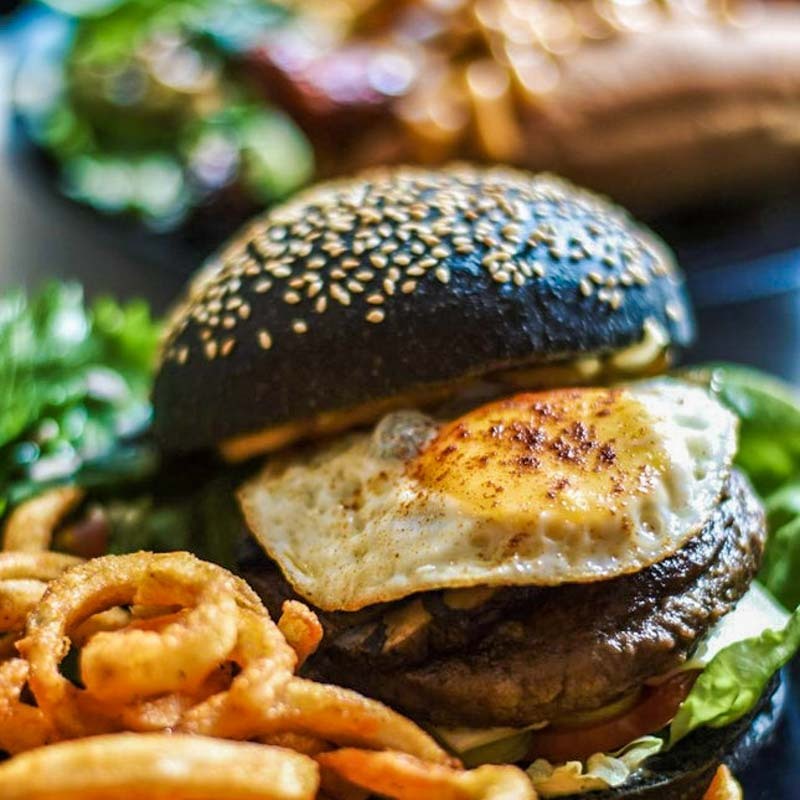 We heard they serve a superbly delicious Angus Beef Burger (S$26) that’s juicy and succulent. The dish also comes with a generous portion of curly fries. These highly-raved fries will surely satisfy all you fries lovers. Another of their ever-popular items is the Academics Pancake Tower (S$19), which comes with an irresistible stack of fluffy pancakes. Pairing the pancakes is also a decadent strawberry sorbet that’s to die for. As a Cantonese, there’s nothing I find more joyful than to be with people who speak the dialect so robustly. That said, however, it’s the abundance of comfort food in Hong Kong that always has me reminiscing about the place. What other Hong Kong eateries do you think should be brought to Singapore? I’m sure we’ll all welcome them with hungry bellies and watering mouths!